A head lice infestation can be a difficult thing to deal with, whether it is you or your child suffering. 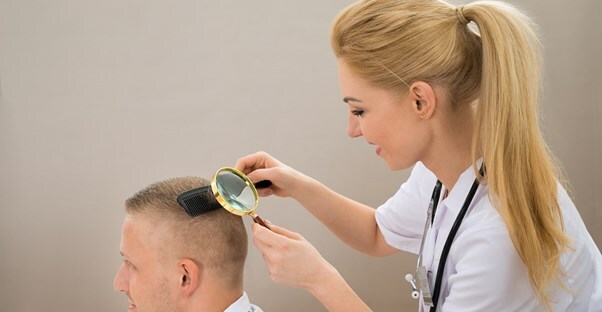 Fortunately, treatments for head lice, both over-the-counter and prescription, are typically effective. However, they can also come with undesirable side effects, such as redness and itching of the scalp. Also, head lice can build up a tolerance to some commonly used medications, which can prevent them from working. If you are considering using an alternative home treatment instead of medication, there are plenty of effective methods for getting rid of head lice without the potential for adverse effects. Here is a look at some of the most common homre remedies. Essential oils: Some natural plant oils have been shown to have a toxic effect on lice and their eggs. These include anise oil, ylang ylang oil, tea tree oil, and nerolidol, which is a chemical compound that is found in most plant oils. Smothering agents: Smothering agents work by depriving the lice and their eggs of air and thereby suffocating them. These sorts of products include mayonnaise, olive oil, butter, and petroleum jelly. Generally, the agent is applied to the hair from the scalp to the tips and then covered with a shower cap and left on overnight. Wet combing: If nothing else is available, this method can be effective when done correctly, although it can be time consuming. To perform wet combing, simply run a fine-toothed comb through wet hair in order to remove lice and nits. It is easier if something is added to lubricate the hair, such as conditioner. The hair should be combed completely through at least twice and then repeated every three to four days for at least two weeks after no more lice are found. If these methods are not effective, see your doctor as soon as possible to receive a recommendation for over-the-counter or prescription treatment options. Never use products such as kerosene or gasoline to kill lice, as they are flammable and could be very dangerous. After all lice are removed from the hair, they might still be living in your house, as they can survive for up to 24 hours without eating. As a precaution, you should clean any items that an infected person has touched or used in the last 48 hours. All bedding, stuffed animals, and clothing should be washed in hot, soapy water (at least 130 degrees Fahrenheit) and dried at high heat. All combs, brushes, and hair accessories should also be washed in hot, soapy water. Any items that cannot be washed should be sealed in large plastic bags for at least two weeks to ensure that all the lice and nits are killed. Additionally, vacuuming floors and upholstered furniture can also be a good way to make sure you have effectively rid the house of any and all lice.